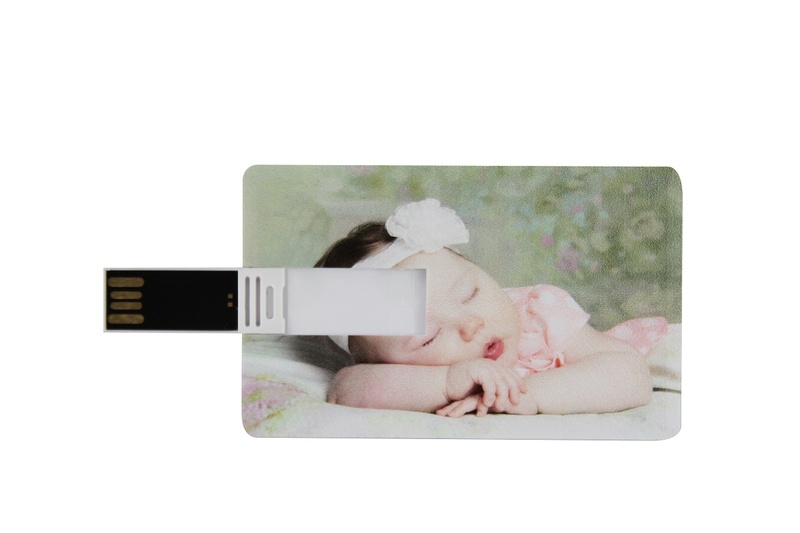 Make a one of a kind delivery to your clients with the Credit Card Flash Drive. 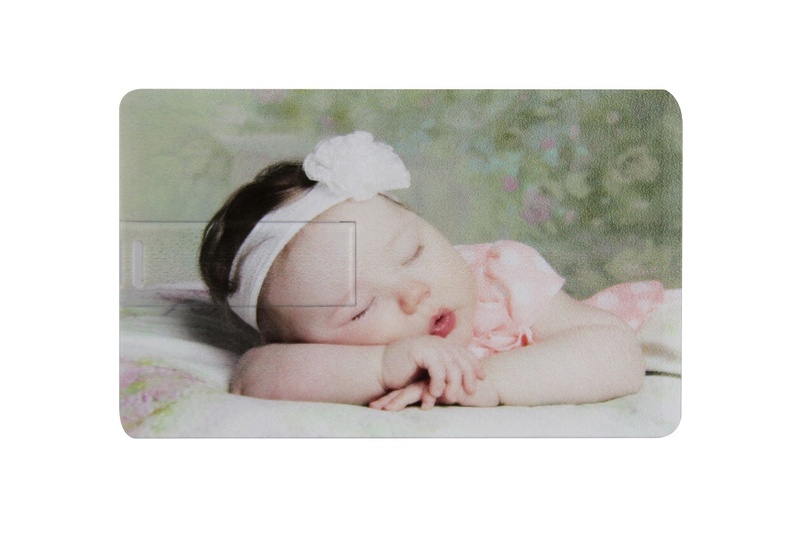 We offer full color printing with your choice of images on the front and the back of this slim credit card style flash drive. 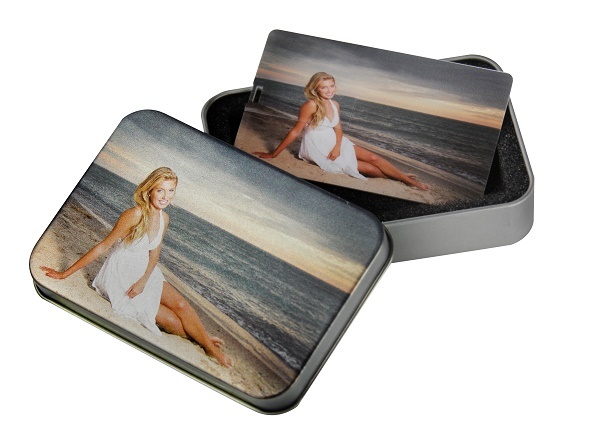 Complete your digital media delivery by placing the Credit Card Flash Drive inside a Metal Flash Drive Tin. Metal tins are sold separately. Customers who purchased a Tyndell Credit Card Flash Drive also purchased these items. Rate our Credit Card Flash Drive.